Is the Fine Dining experience dead or just diversifying? And guess what, jackets not required! They have set aside an area in their dining room that is less formal yet still creates the same ambiance and the same great service. They are not devaluing their brand in any way, they are offering a choice. The trend towards less formality and lets’ face it, lower pricing has created a demand. According to author Anya many people today …”would rather go to their local gastro pub and order heritage pork belly.” I recently talked with Executive Chef of The White Barn Inn, Jonathan Cartwright. He says the Winter Bistro has been well received by locals as well as inn guests. I asked him if he sees an increased demand for simpler food in a more relaxed atmosphere. He says that the dining public has evolved and we are now a nation of true foodies. 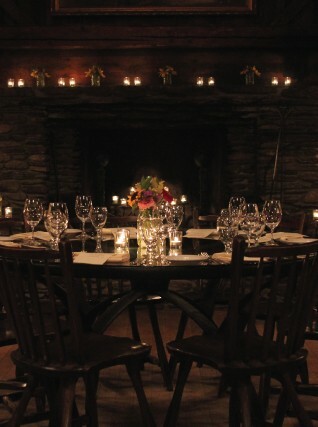 He pointed out that The White Barn will always keep the tradition of a special occasion dining choice. He also pointed out that it is always a challenge to keep current, even in our small towns of Kennebunk/Kennebunkport the choices for dining have increased tremendously just in the last few years. Locals and visitors have more choices now. I agree, even if we choose the less formal restaurant in town or the Winter Bistro alternative we still want great food, great service, great atmosphere, in short, that total dining experience without the ‘fine’ attached to it. Recently Rick and I had a really great dining experience with incredible food and service at The Common Man Restaurant in Sugerbush Vermont. The dinnerware they use is unique, custom hand thrown pottery made by a local potter and innkeeper Luke Iannuzzi at the Wilder Farm Inn. Everything else offered at the restaurant is also locally sourced. Chef-owner Adam Longworth stopped by our table and talked with us and the other guests about their dining experience and answered questions about his background and vision for the restaurant. 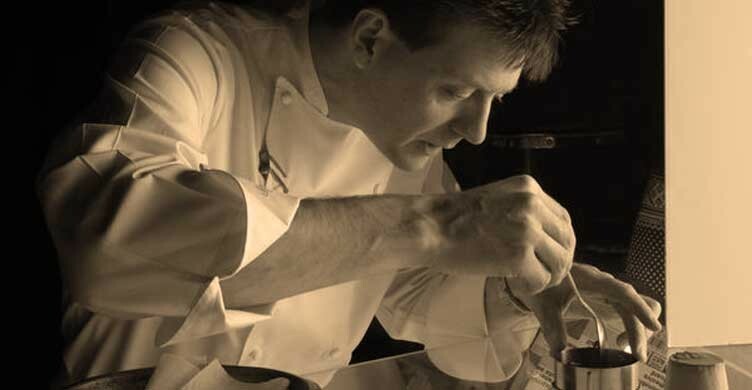 If delivering that crucial sense of emotional authenticity is the haute cuisine and fine dining experience of the future, Chef Longworth has perfected it . I will end with another example from a personal experience Rick and I recently had. We visited a full service country inn that has offered fine dining successfully for the past 20 plus years, but recently their dining room business has been declining, especially mid week. We made a suggestion that they may want to consider offering alternate menu choices in a more relaxed atmosphere in one of their dining rooms. We suggested that this may bring in more locals, especially midweek. This is exactly what the White Barn is trying in their ‘Winter Bistro’. 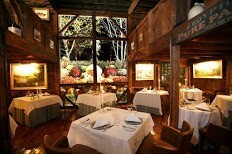 Remember I said that the White Barn Restaurant was not devaluing their brand by offering an alternative dining choice. But one way of devaluing your brand is letting your business get behind the times, not keeping up with the trends. Change is a scary thing sometimes but may be necessary to keep up with the demand of today’s fickle foodie. Oh I like that…great name for a restaurant? The B&B Team has a number of full service inns for sale. If you are an aspiring innkeeper who is considering a career in innkeeping with a full service dining component we have some great properties. Check them out. Is fine dining dead? Those restaurants of old with flaming desserts and tuxedoed waiters may be decreasing but they are not dead or should they die! The new fine dining is more about choice. Yes we do want to dress up occasionally for that special occasion with the linen, crystal and silverware for every course…or not. Give us the choice. So whether it is white cloth or white butcher paper, we want great, innovative and authentic food. And make it fresh, local, visually appealing and presented with style and service extraordinaire. All that is ‘fine’ with me. This entry was posted on Tuesday, March 5th, 2013 at 7:38 pm	and is filed under Food & Beverage. You can follow any responses to this entry through the RSS 2.0 feed. Both comments and pings are currently closed. Great post! As a former owner of a Fine Dining restaurant I totally agree with you about finding a way to compliment your brand and not devalue the experience. There are also varied degrees of Fine Dining from classical which you described with tux dressed waiters and flaming desserts to the more casual Fine Dining which I believe is more prevalent today especially on the West coast where comfort wins out over fashion. Still providing table clothes,fabric napkins and excellent service but less stuffy, more traditional business dress then formal, that would be west coast style……Food is still fabulous and gorgeous just not as formal. The most important take away is that the place and meal are a complete memorable experience.